What a wonder-filled summer it has been! 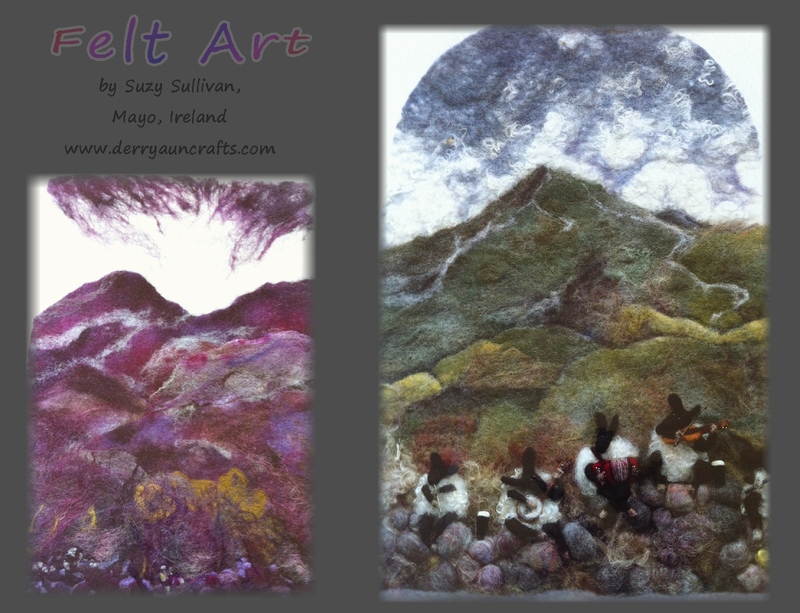 When we were vacationing in Ireland, I saw some intriguing art in a small shop…the prints I saw seemed to be photos of some kind of fiber art…not sure what it was or how it was done…but the blendings of colors, lines, textures and images were filled with such a magical sense of wonder! what magical art she creates! Her creations certainly are magical! Well… I DID find someone to ask…you just never know “who” knows “what”….my daughter Julie knew! Easy as that! Julie recognized the materials, and when we were vacationing in Olympia and the SanJuan Islands, Washington, she found several wonderful yarn shops and showed me the materials…. 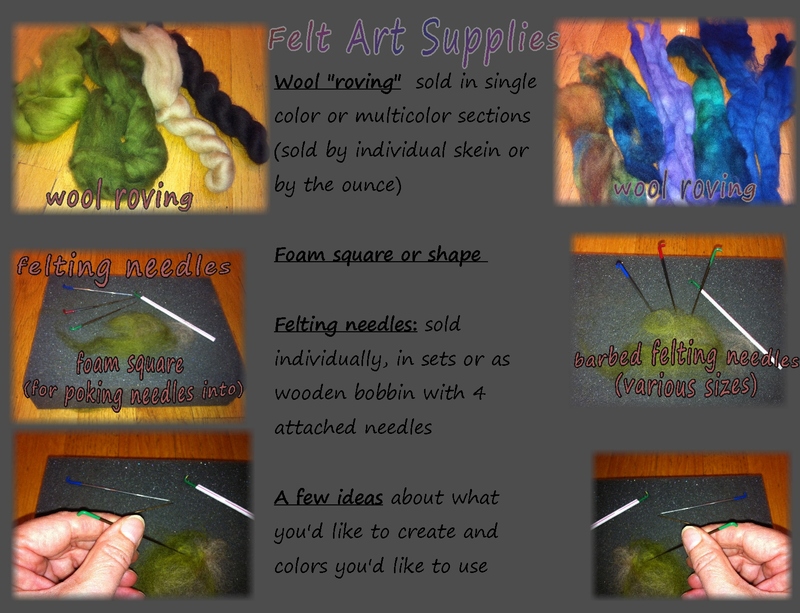 and encouraged me to buy some beginner supplies so I could try creating my own beginning projects…thank you, Julie! 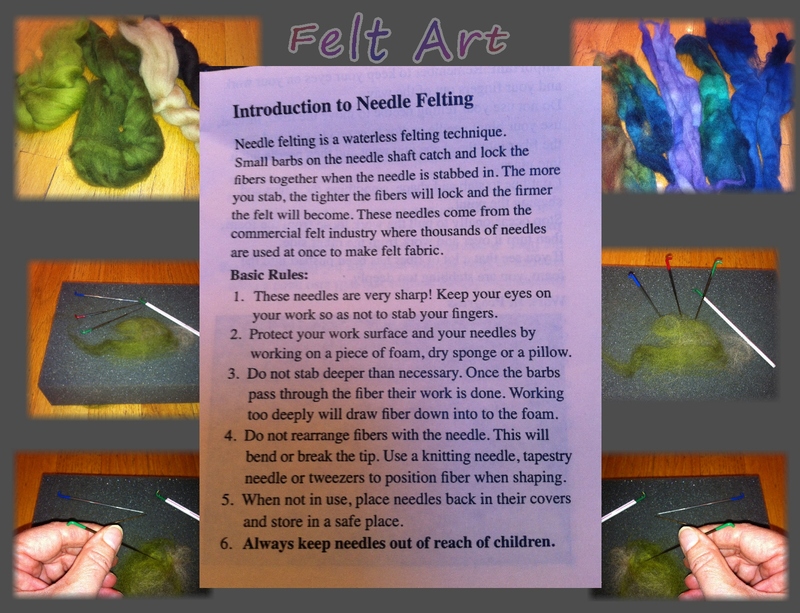 apparently, it’s called “needle felting”…. and it’s a REALLY enjoyable, seemingly easy and fun craft. 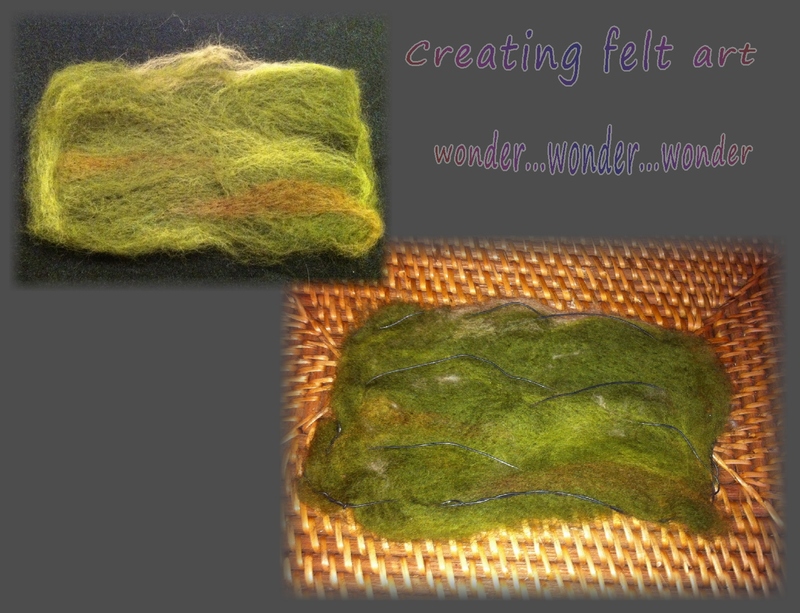 I think others might enjoy needle felting, too! Just a few materials needed…very simple. 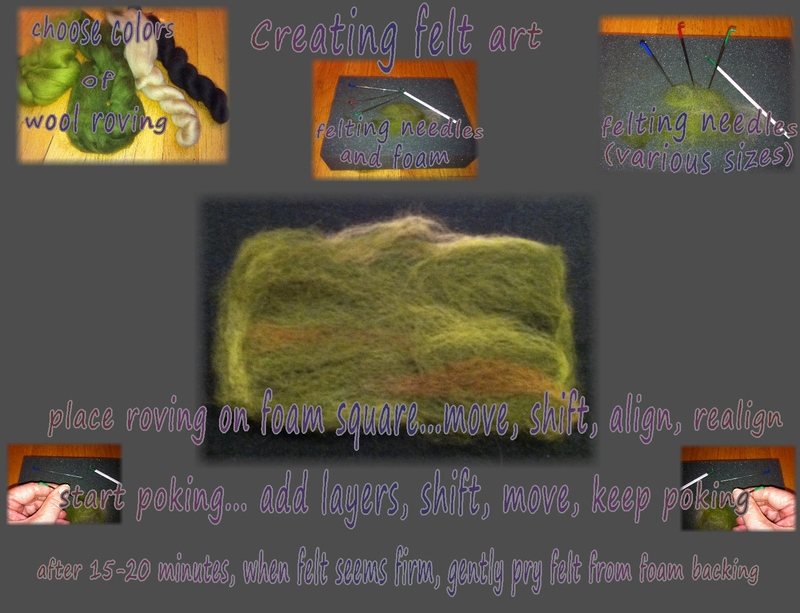 I wonder if I could add wire to that felting? hanging it on windows or the shower door??? the remarkable joys of living with a sense of open curiosity and wonder! with an increasing sense of curiosity, possibility, opportunity and wonder! This entry was posted in Inspiration, Life and tagged Crafts, Creativity, Curiosity, Encouragement, Fun, Happiness, Inspiration, Life, Possibility, Wonder. Bookmark the permalink. 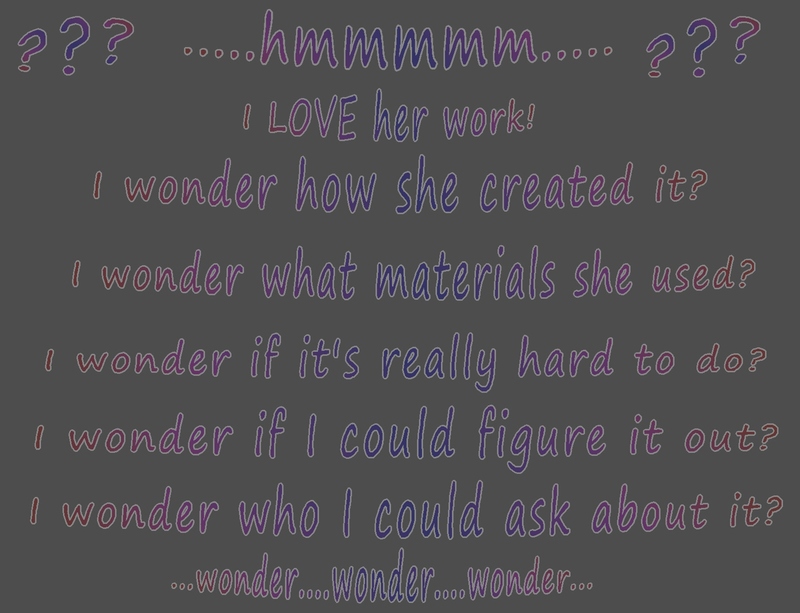 10 Responses to A sense of “wonder”… I wonder if I could do that??? oh I think this is a wonder-ful craft. And look at you, with a bit of curiosity, a bit of encouragement, a bit of wonder and magic happens. So inspiring. I have this dream of creating woven wall hangings and one of my goals, while in Europe, is checking out looms and fibers and maybe, who knows, taking a class or two…. Oh, Joss…I hope you do start creating woven wall hangings…they’re so lovely and such variety in how they are created….looms, fibers, classes…who know what might happen??? Oh, such opportunities you’ll have! I’m so happy for you and really looking forward to reading about your adventures! Well, it sure was enjoyable creating that little piece… and so quick and easy, too…Who knows what’s next? I think I’ll try little nesting bowls!…or maybe…ummm…who knows what??? So many possibilities! Suzie Sullivan here…thank you so much for admiring and sharing my work with others. 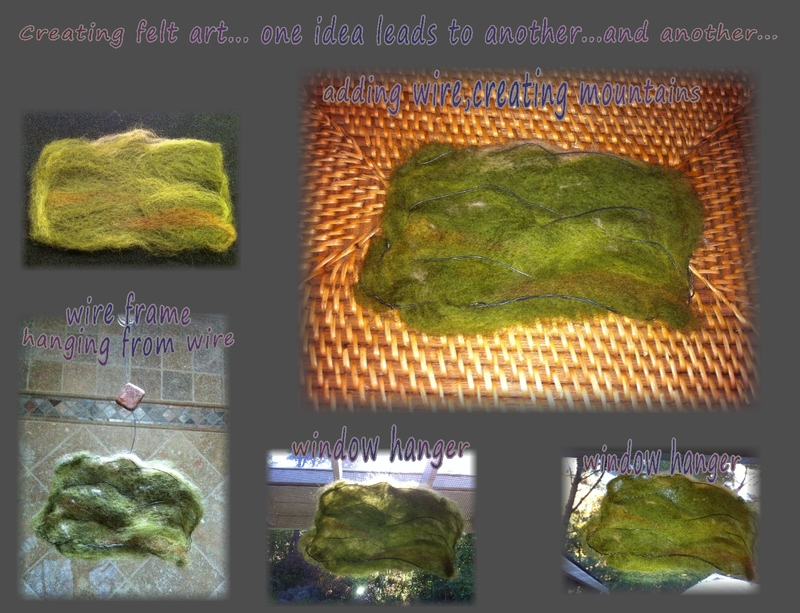 I am so glad that you are inspired to create your own woolly pieces, I especially love your window hanger, the way the light shines through! 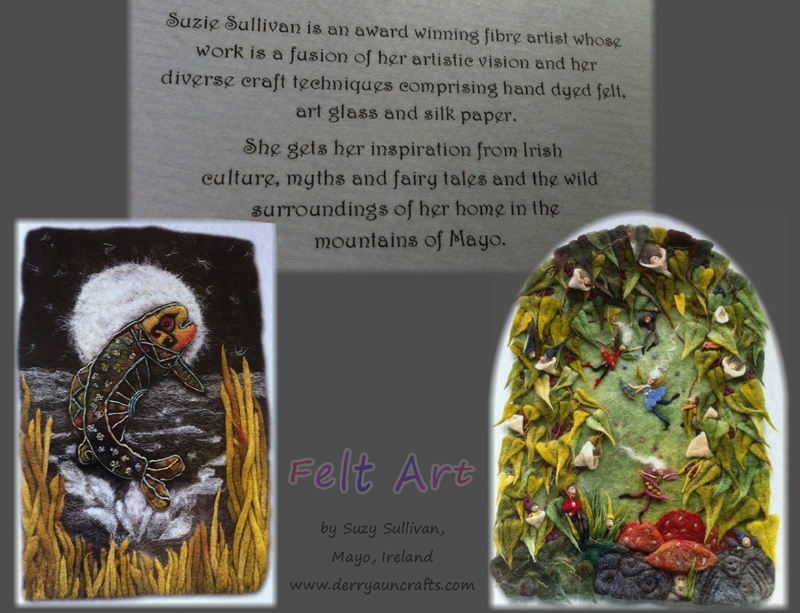 Hi Suzie…how very special to hear from you…your felt art is so magical and wonderful! I wish I lived nearby!